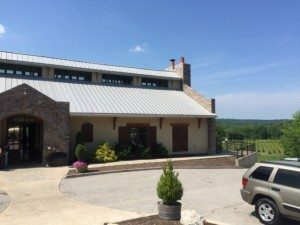 Chandler Hill is Missouri’s most elegant winery, founded in 2008, located in Defiance, MO. It is only 30 minutes west of St Louis, MO and is adjacent to America’s first wine district, Augusta, Missouri. This unique grape growing area has produced some of the highest quality wines within the Midwest. Chandler Hill grows Chambourcin, Vignoles and Norton. Chandler Hill Vineyards offers a selection of fine wines from the west coast. Their west coast wines come from their vineyards in Napa Valley, Willamette Valley and the Central Coast. The grapes are hand selected by our vintners to produce the finest wines. They have a restaurant that offers great food accompanied with their great wines and live music and events. They offer a wine club, shopping, wine tasting and much more. The vineyard is an excellent destination for wedding parties and weddings. The facility overlooks the vineyard and a natural spring fed pound creating a spectacular view. 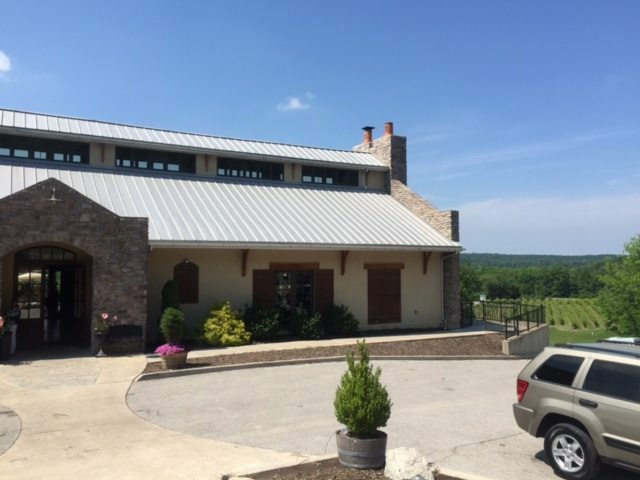 St Louis Restaurant Review published a Review awarding Chandler Hill Vineyards a 4.5 Star Rating. *Hours Are Event Dependent. Be sure to check our events page to see if private events are scheduled. Open late for special events and private parties. Please NO outside food or beverages.